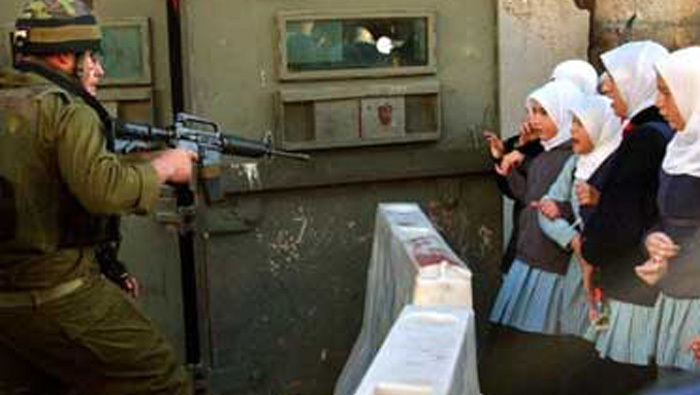 An IDF soldier points a rifle at Palestinian women. Source BBC. Published May 14, 2018 at 700 × 395 in Solidarity on the Eve of the Nakba.